Under Georgia law, every child has a right to support from both parents, and the state takes the requirement to pay support very seriously. Spousal support, or alimony, is payment the supporting spouse pays to the dependent spouse, so that divorce does not unjustly enrich one spouse to the detriment of the other. 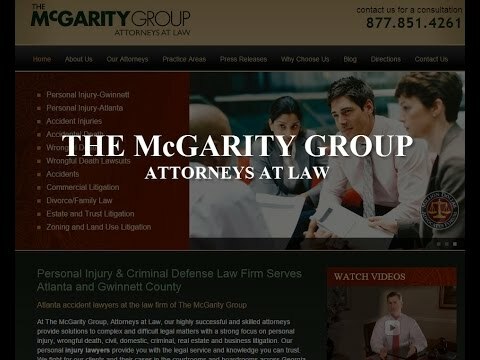 At McGarity Group, Attorneys at Law, our first concern is obtaining a fair support order from the court. If problems arise later over a spouse’s ability to pay or increased expense in caring for your children, we represent your interests in hearings for modifications of support orders. Due to advances women have made in the workforce, permanent alimony from ex-husband to ex-wife has become very rare, and is generally reserved for older couples in marriages of long duration. Alimony today is mostly rehabilitative; it is meant to tide a dependent spouse over until he or she becomes self-supporting. The court can order periodic payments or a lump-sum. The amount depends on several factors, such as the couple’s standard of living during the marriage, the dependent spouse’s marketable skills, the amount of education or job training the dependent spouse would need to become self-supporting and each spouse’s age and health. With regards to private school and enrichment activities, such as dance, music lessons and travel teams, the court is more likely to order these expenses if the child was enrolled in school or engaged in the activity prior to the divorce, and continuing to pay would limit the disruption to the child’s life. In most cases, child support obligations last until the child reaches 18 years of age. However, if the child has not finished high school, the court may extend the obligation up to the age of 20. The courts have many enforcement powers to collect unpaid child support, and can even reach across state lines to do it. For obligor parents, the rule is simple: pay your support. If you don’t, you face numerous unpleasant consequences, including having your wages garnished, your tax refunds intercepted and your driver’s license suspended. You could even be put in jail for contempt. Aside for callous disregard, there are usually two reasons noncustodial parents stop paying child support. The first is unemployment or other financial hardship, and the second is to punish the custodial parent for interfering with their visitation. In both cases, it’s a bad idea to simply stop paying support. The better tactic is to go back to court and request a modification of child support or enforcement of your visitation rights. You are entitled to a modification of support if you’ve suffered a substantial change in your finances. If your ex is attempting to alienate your children from you, you can get a court order forbidding the alienating conduct and you may even be entitled to a share of physical custody. The issues of alimony and child support are critical for each spouse’s financial security. At McGarity Group, Attorneys at Law, we have the experience necessary to guide the court toward a fair order that truly reflects your financial circumstances. To schedule a consultation with an experienced divorce lawyer, call our Buford or Braselton office today at 877.851.4261 or contact us online.